The project convinces with its clear design language and appealing exterior design. The supporting structure made of glulam in combination with polycarbonate panel provides the space for the adjusted boxes. Thanks to the transparent cover, the wooden support structure is also visible. The building continues to impress with its attractive interior design and multifunctional spatial use. We are proud to have been involved in this project and to have made a contribution to promoting the founders scene in the region. 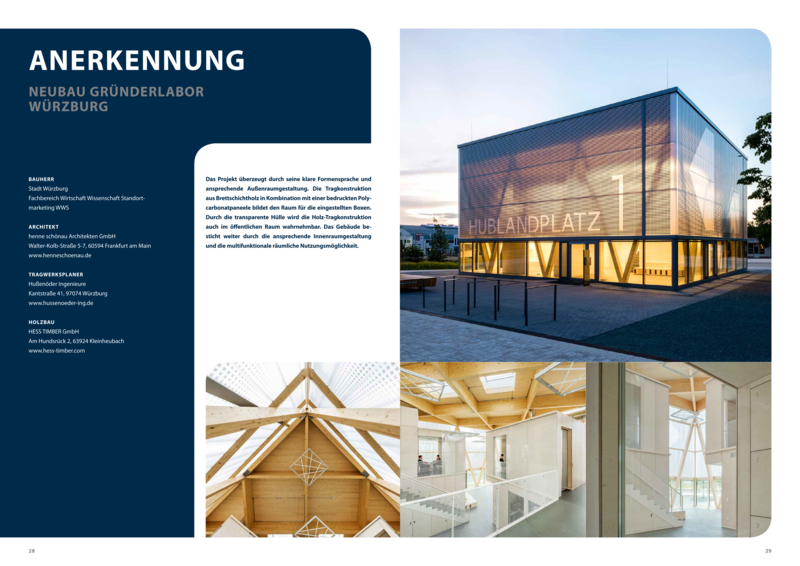 New project pictures of the "Gründerlabor ZDI Mainfranken"